The Best Christian Business Blogs from thousands of Business Blogs by popular Christian bloggers on the web using search and social metrics. We’ve carefully selected these websites because they are actively working to educate, inspire, and empower their readers with frequent updates and high-quality information. 2.26 Christian Faith at Work Life Plan | Leverage your business for eternal returns! Christian Business newsletter is a comprehensive summary of the day's most important blog posts and news articles from the best Christian Business websites on the web, and delivered to your email inbox each morning. To subscribe, simply provide us with your email address. Mercer Island, WA About Blog Hi, We are the Best Christian Workplaces Institute, a consulting and leadership development firm dedicated to helping Christian leaders and organizations achieve their full potential by creating flourishing staff cultures. We help Christian leaders build flourishing cultures so their organizations will thrive and grow. The purpose of this blog is to inspire you to apply these healthy people practices in your workplace. Facebook fans 1,452. Twitter followers 437. Louisiana About Blog At Crossroads Professional Coaching we have found a couple of common themes that have emerged over the past decade as we have worked with hundreds of Christian business owners. Read articles about building your small business on a foundation of your Christian Values. Facebook fans 1,459. Twitter followers 1,377. About Blog Daily Godpreneur.com is a leading source for daily inspiration for entrepreneurs. DG writes on anything business related, with a bible teaching tied to it. Started in 2014, DG has over 250 blogs related to business and God. DG is dedicated to obsessively going through the bible, verse by verse, and pulling out great entrepreneurial teachings. Facebook fans 1,532. Twitter followers 37. Sydney, New South Wales About Blog Christian Women in Business is a community and directory. We are a movement of women aligning our businesses with God. Facebook fans 2,814. Twitter followers 194. Wheaton, IL About Blog The purpose of The Christian Working Woman is to equip and encourage Christians in the workplace to love Christ more, to live their daily lives by biblical principles, and to go to their jobs as ambassadors for Jesus Christ. Facebook fans 9,368. Twitter followers 547. About Blog I empower audacious entrepreneurs to architect their online revenue-generating platforms, so that they can create impact, influence and income all at once! Facebook fans 3,554. Twitter followers 3,338. About Blog FaithFocusFlow.com is an online portal created to help people of faith build businesses, careers and lives that bring value, peace and a sense of fulfillment to themselves, their families, their communites and the kingdom of our Lord and Savior, Jesus Christ. Facebook fans 3,078. Twitter followers 488. About Blog Start following your passion and live the life of your dreams. Travel around the world while growing a successful business. Learn step by step how to create an online business and quit your job. Facebook fans 322. Twitter followers 3,162. Roseburg Oregon About Blog My aim and goal is to be with you through your own journey of highs and lows. To help you build your business while keeping a balanced and fulfilled life. Together we can radically change the world. Be blessed on your journey. Facebook fans 503. Twitter followers 3,723. About Blog Christian Women in Business helps you to start your own business or propel your existing business to the next ten levels while assisting you as you work to build your own unique household name brand. Facebook fans 82. Twitter followers n/a. Houston, TX About Blog Theology of Business helps marketplace Christians to partner with God in business to transform the marketplace and reveal the glory of God in the culture. The Theology of Business blog and podcast are for Christian business professionals, Christian business leaders, Christian entrepreneurs, Christian marketers, and anyone else seeking to make an impact for God's glory in business. Facebook fans 661. Twitter followers 2,951. About Blog OurChristianBook.com is a website developed and driven by me, Edna Davidsen, to demonstrate desirable methods for building a Christian business blog based on Christian Affiliate Marketing. Facebook fans n/a. Twitter followers 40,798. Wichita, KS About Blog Christina has laser-focused power for helping Christian business owners to hone in on what is most important in your business and personal lives and confidently know and achieve your Holy Spirit inspired vision. Facebook fans 648. Twitter followers 422. San Antonio, TX About Blog The C12 Group is not another business-centric Bible study or a professional networking group. It's also not a guest speaker forum or business solicitation platform. It’s an objective Peer Advisory Group of like-minded business leaders to share ideas and best practices, focusing on areas to sharpen in their business and lives. Facebook fans 2,838. Twitter followers 934. About Blog Christian Business Fellowship (CBF) was created as a mutually-beneficial forum for business leaders. At CBF, you will learn from business experts, counsel with wise business leaders, and share your business experience. CBF is all about relationships. Real relationships. Our small communities of leaders of similar-sized organizations provide you a vibrant peer group. We call them Christian Advisory Boards or CABs. Facebook fans 433. Twitter followers 88. About Blog A growing faith is the first step to a growing business.The Christian Business Revolution is Christ living in and working through Christian entrepreneurs. Facebook fans 71. Twitter followers 336. Valrico/South Brandon, FL About Blog Christian Business Connections (CBC) is a unique business networking organization. We open and close our meeting in prayer and have devotion. CBC exists to promote fellowship and prosperity for its members, fulfilling financial and spiritual goals. Facebook fans 393. Twitter followers 781. United Kingdom About Blog The Christian Business and Professional magazine is dedicated to applying biblical principles to the business and work environment. It was started in 2000s and grew across the globe. However, as technology evolved, there was a need to embrace it. Our aim is simply to help you apply Christian principles to the business and work environment. Facebook fans 641. Twitter followers 107. Oklahoma About Blog Christian Hi, I'm Megan Pennypacker! I'm a business and success coach to Christian lady entrepreneurs who want to start or grow their online businesses. Facebook fans 10,574. Twitter followers 1,257. About Blog Christian Business Leaders is an organization focused on developing and equipping a Christ-centered community of leaders within the business school who embrace business as their calling, striving to be a light in our business school and beyond. New York & LA About Blog Entrepreneur Janelle Langford, creates a business guide for the Christian Entrepreneur. My purpose is to INSPIRE. My purpose is to EDUCATE. My purpose is to WORSHIP. "How To Make Glitter" is the divine intersection of my faith, my story, my trials and my triumphs. It is my love letter to Christian entrepreneurs; maneuvering you through business as you harness your purpose and apply your faith principles to every situation, both personally and professionally. Facebook fans 131. Twitter followers 3,938. Facebook fans 9,402. Twitter followers 1,410. Elk Grove, CA & World-wide About Blog Robin empowers busy Christian Women, Christian Women Entrepreneurs and Coaches who may be challenged with disempowering habits, an unhealthy internal structure and frustrated with the slow growth of their business. She is CEO and Founder of Robin Tramble International, President and Founder of The International Network of Christian Women Entrepreneurs. Robin is also known as Empowerment Diva because she has carved out a niche in the area of empowerment. Facebook fans 13,954. Twitter followers 10,129. McKinney, TX About Blog The National Association of Christian Women Entrepreneurs Blog, supporting, training, educating, collaborating and loving women in the success of their business. Facebook fans 12,263. Twitter followers 22. 26. Christian Faith at Work Life Plan | Leverage your business for eternal returns! Georgia USA About Blog Hi, I’m Chris Patton. I am a Christian and I am in the car business. Believe it! Since 2000, I have been the President/CEO and partner in our family’s group of automobile dealerships. We employ roughly 100 people and represent seven new vehicle franchises. It is a busy job and is often more than I feel I can handle! Facebook fans 657. Twitter followers 782. 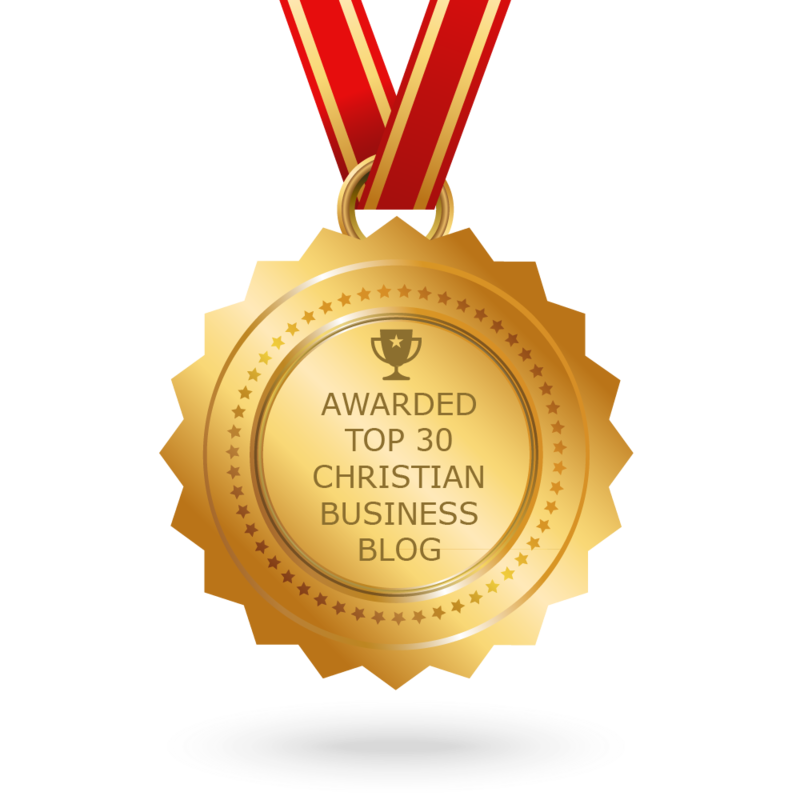 CONGRATULATIONS to every blogger that has made this Top Christian Business Blogs list! This is the most comprehensive list of best Christian Business blogs on the internet and I’m honoured to have you as part of this! I personally give you a high-five and want to thank you for your contribution to this world.